Family caregivers mistakenly believe that anxiety in aging adults is rare, but in fact it is quite common. A generalized anxiety disorder or a social anxiety disorder can disrupt an elderly adult’s life to the point where they are constantly worrying about their life and their future. It’s a mistake for family caregivers to simply think that anxiety is a phase that their aging relative will somehow get through on their own. If an elderly loved one is dealing with anxiety, family caregivers need to arrange for the help they need to handle it. Anxiety in seniors can be triggered by numerous things, but is usually related to their long-term health, chronic pain, financial struggles, loss of a loved one, loss of independence, worry about their future and facing their own mortality. After a significant event or more than one, the elderly adult may begin to show the symptoms of anxiety disorder. The symptoms of anxiety in aging adults are fairly common. They include rapid heartbeat, constant worry, headaches, digestive problems, insomnia, procrastination and panic attacks. Family caregivers may notice their elderly relatives avoiding events or people they once enjoyed, constantly talking about their worries or problems, and mood swings between irritable and weepy. If family caregivers notice these symptoms in their elderly loved one, they should definitely contact the doctor for an appointment. 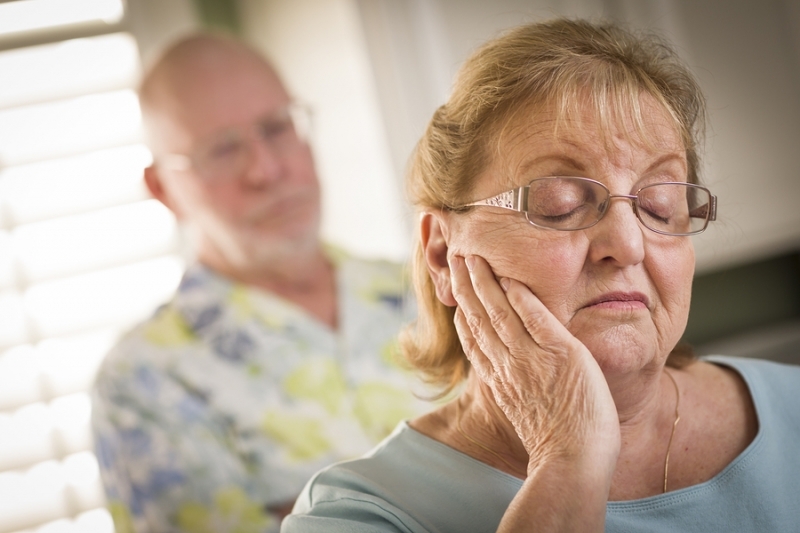 Seniors cannot overcome anxiety disorder on their own. They need the help of a good support team that first includes family caregivers. The family caregivers need to help keep them calm and provide the stable emotional foundation that they can lean on. The next person is the doctor, who can rule out any medical conditions that may be causing some of the symptoms. The doctor can also prescribe some anti-anxiety medication that may help alleviate some of the symptoms. Another person that can work with an elderly relative through an anxiety disorder is a licensed mental health professional. They are trained to use cognitive behavioral therapy with their patients, which has proven to be quite effective with anxiety and other mental health issues. Finally, many families hire elderly care providers to take many of the stresses away from aging adults. Elderly care providers are professionals that give in-home service to aging adults. They can take care of daily duties such as housekeeping, laundry, meal preparation so the elderly adult doesn’t have to. Elderly care providers are also helpful for seniors with physical limitations as well as mental health issues, acting as compassionate helpers that keep seniors comfortable, safe and healthy. It’s no easy to watch an elderly loved one struggle with anxiety. However, family caregivers that know what to look for and know where to go for help can play a big part in guiding their aging relative to feeling much less worried about the present and the future.